Yesterday I mentioned that I was joining in on an Easter nail art challenge, but I got the title a bit wrong. 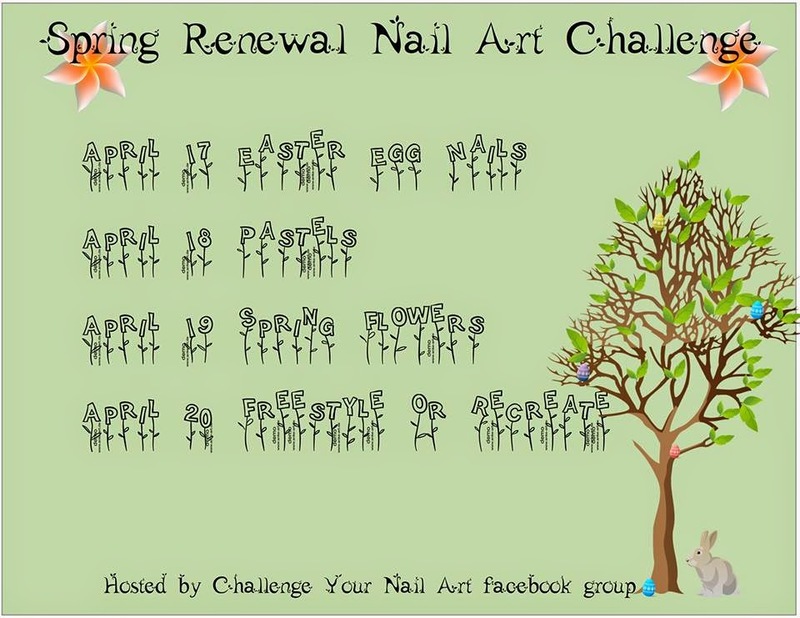 The challenge is actually called the Spring Renewal Nail Art Challenge hosted by Challenge Your Nail Art. They're a Facebook group dedicated to creating fun and laid back challenges. The admins pick a new theme every month (usually holidays) and anyone can join and do as many or as few of the prompts as they want. If you're interested look them up on Facebook. The theme for today is Pastels, which I almost stuck to. 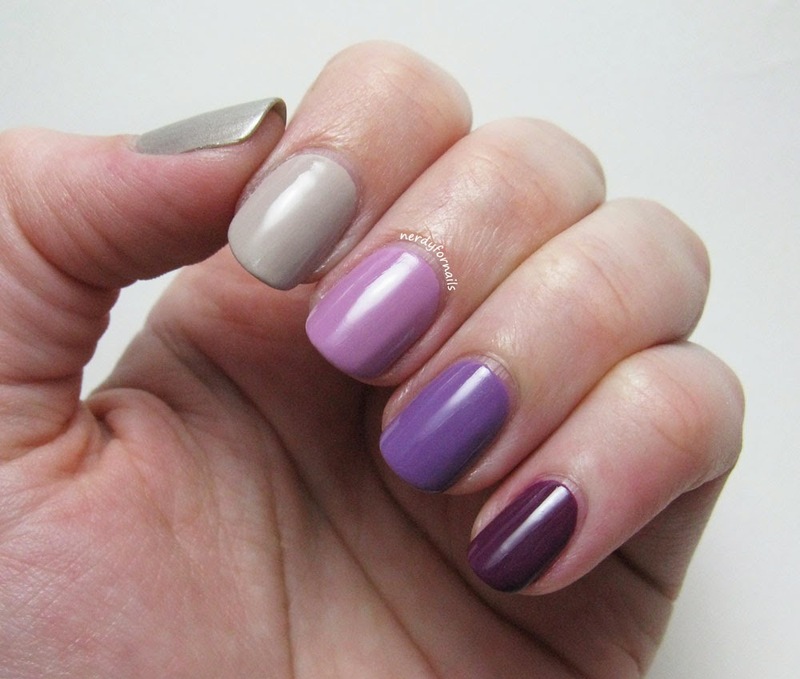 We can just pretend that my pinkie is a very dark shade of pastel purple (and that nudes also somehow count). I stumbled across this combination while arranging my new collection of swatch sticks. I love being able to put the colors in order to see what goes nicely together. I'm wearing two coats of each. 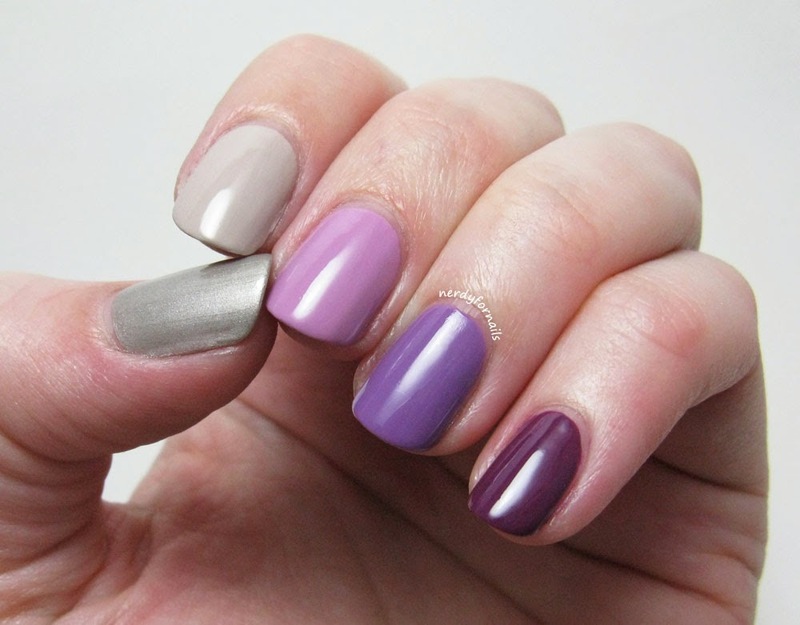 In keeping with my current theme of "too busy playing ESO, but must paint nails" this is another really easy and quick but cute spring manicure.